You are here: Home / Recipes / Lunch / Mini Biscuit Pizza Rounds! Here is Susan back with another fun recipe for the kids! 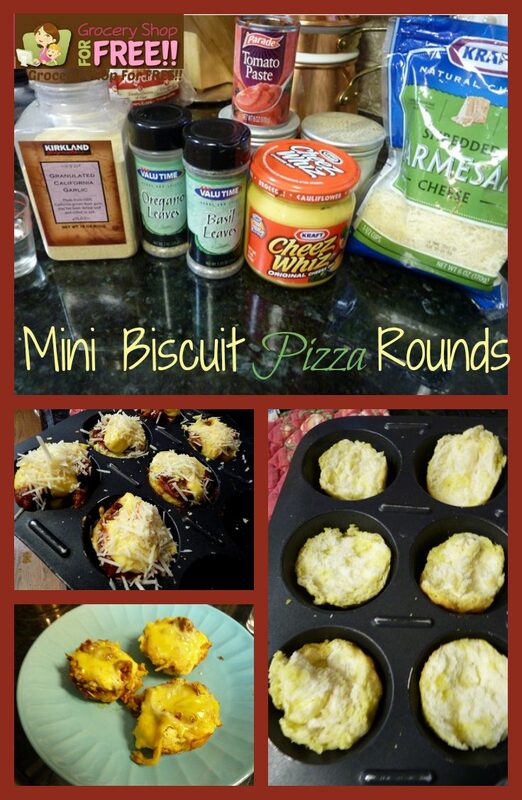 Mini Biscuit Pizza Rounds made with Pillsbury Mini Biscuits! 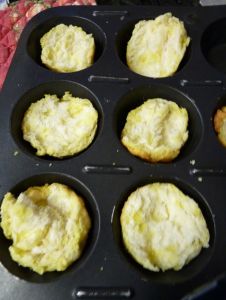 Each 70-calorie biscuit is a delight when served hot from the oven, with a warm fluffy center and golden, flaky crust. Pillsbury® Grands!® Mini Biscuits are the perfect size for kids, or for mini sandwiches and appetizers. There are countless recipe options, from miniature ham sandwiches come lunchtime, to delicious sliders for nighttime entertaining. There are so many ways to make these biscuits and your family will love trying each one. My objective was to make this a kid friendly recipe. I also wanted something that would be all around comfort food, since that is what a biscuit is when you get right down to it. These mini biscuits are only 70 calories so, you get to eat a little bite of something really tasty and not eat too many calories. I thought about my mom’s recipe for individual pizzas. She used to make these when I was a kid and would freeze them so that we could grab one out as needed. Hers were made on English muffin halves. I decided to make them with the Pillsbury Frozen Grands! Mini Biscuits. Mix the tomato paste, water and spices in a glass bowl. Cook in the microwave for 1 minute. Stir and cook another 1/2 minute. 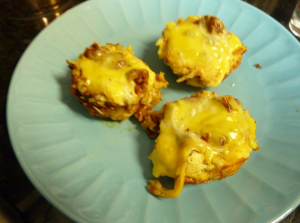 Mix in the cooked sausage and put some on each biscuit round….using all of it evenly distributed. 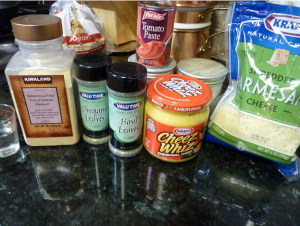 Top with between 1/2 –1 tablespoon of Cheese Whiz on each. 1 tablespoon is 45 calories so, if this is a concern, use 1/2 tablespoon. Then top with 1 tsp of Parmesan Cheese. Bake at 350 until bubbly. This will take about 10-13 minutes, if oven is preheated. Take them out and let them stand for a few minutes. By the way, I tried these on my grandkids and they loved them. My grandson is pretty picky too. Woohoo! 1. If you want to freeze these for later, don’t cook them before freezing. 2. You can add various vegetables such as onions, peppers, olives for adults or kids that aren’t picky. 3. You can substitute low fat pepperoni for the sausage, but chop it up first. I like this post “Sweet Dough Dinner Rolls”. Looks a great and easy recipe to give it a try. I LOVE this recipe….my two favorite things!! Mmmm…Cream Cheese Pound cake! My favorite post at Susan’s! my favorite recipe from Permanent Poises site is, Peanut Butter Banana Bread. My hubby and kids love PB so I am going to have to try this recipe. I loved the recipe for the mini pizza rounds. My kids some times aren’t in the mood for big pizza slices but these are just perfect for their lil hands. i tweeted about the giveaway!! I just liked Permanent Posies on Facebook as well!! I love her Peanut Butter Banana Bread recipe!! I’ve been looking for a Banana Bread recipe to try! 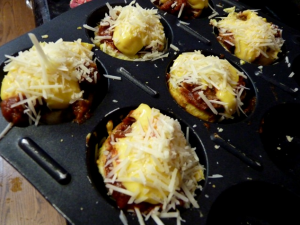 I really liked the Mini Pizza article on Susan’s site….I am so gonna try those soon! I just liked Permanent Posies Facebook Page. Just tweeted about this giveaway! Cream cheese pound cake? Oh my, I might have to try that one. “liked” Permanent Posies on fb. Thanks! I like her post about the fall wreathes and decorating idea! Ive been wanting to make a cute wreath so its perfect! I like permanent posies facebook page! I twittered for the giveaway. I want that butter dish..ha. I like her Chicken and Sundried Tomato Pasta post. Im going to have to try her DR. PEPPER TEXAS CHOCOLATE CAKE recipe!! Susan’s Pork Roast with Honey Sesame Sauce sounds wonderful. I loved her post on framing pieces of fabric as artwork! What a creative idea! Wow. Everything sounds good! The Chicken Spaghetti sounds so good, I think I will make that for my family tomorrow! I am (now) a Facebook follower! I went over to Susans Blog, and I really like the idea for the centerpiece made out of old magazine and book pages. I always have so many magazines laying around and this is so much better than just recycling them! I tweeted about he give away! I liked Permanet Posies on facebook! I liked the pork roast with honey sesame sauce. I was ROFLOL over the Crazy Cultural Customs story. I like her Mini Biscuit Pizza Rounds recipe. I like Permanent Posies on Facebook under the name Mary Happymommy. I like her post about making a fall centerpiece! great idea! I also found a few recipies that I am going to have to try! I am now a follower on facebook! I really like her site … Susan has very easy to follow receipes! I found one of my favorites Cream Cheese Pound Cake … yummy to my tummy. I am going to make it for my husband with next Sunday’s dinner. I really like her site and liked it on Facebook … Susan has very easy to follow receipes! I found one of my favorites Cream Cheese Pound Cake … yummy to my tummy. I am going to make it for my husband with next Sunday’s dinner. Loved the recipe for the sweet dough dinner rolls on her site! Liked your site and Permanent Posies on Facebook! I LOVE crafts and really like Susan’s sections on crafts, especially the wreaths. I’m going to try the fabric rosette wreaths and make some for Christmas presents (and one for my house of course)! Checked out her website. The Pork Roast with Honey Sesame Sauce sounds wonderful!